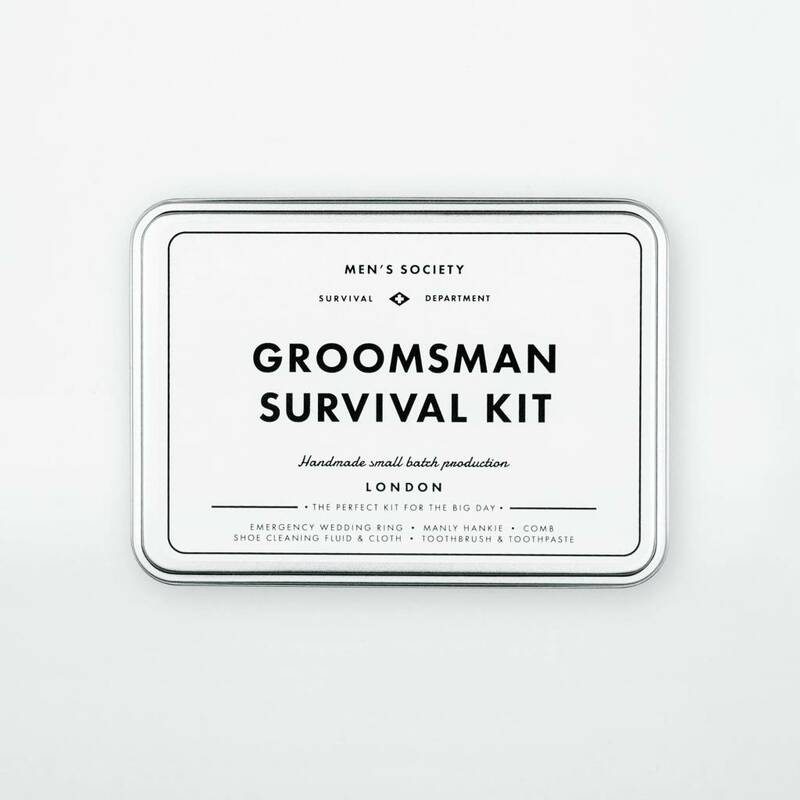 The perfect survival kit for a groomsman or usher on the big day. 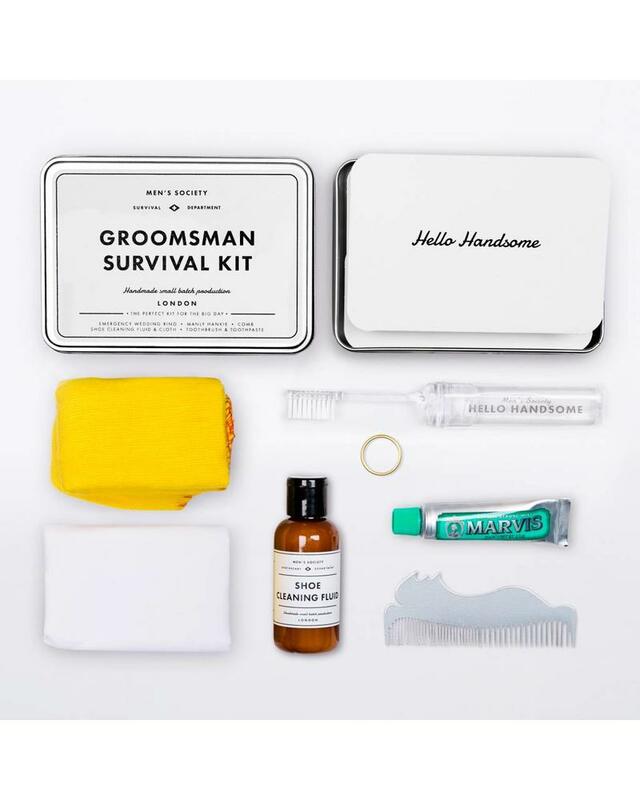 From wedding rings to hankies and clean shoes, we've covered every eventuality. 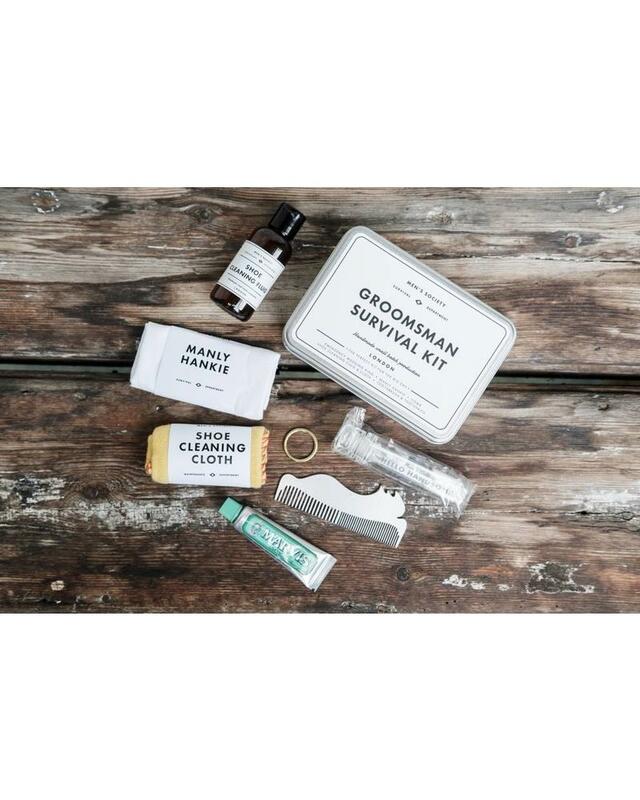 Plus, to make this the memorable gift you're looking for, we offer full personalisation at no extra cost. 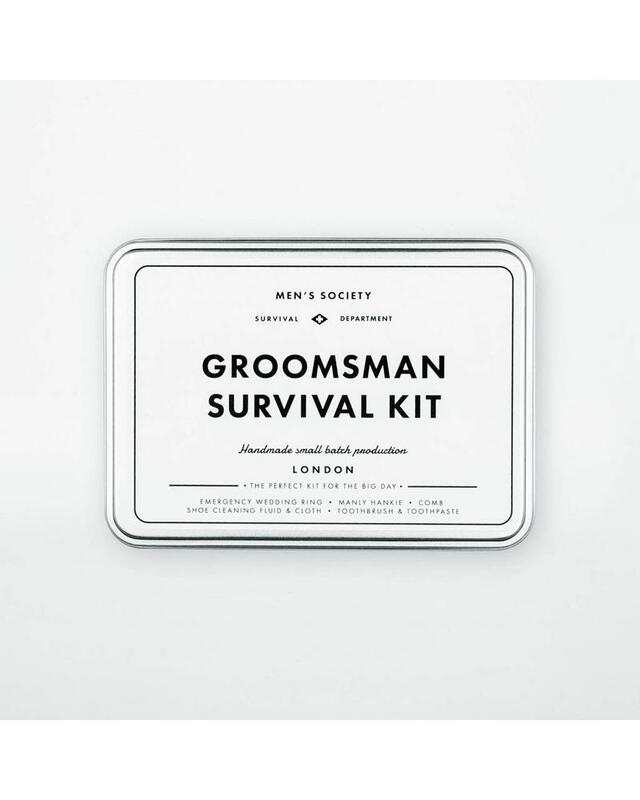 There's almost no disaster the day can throw it him that the Groomsman Survival Kit can't overcome. 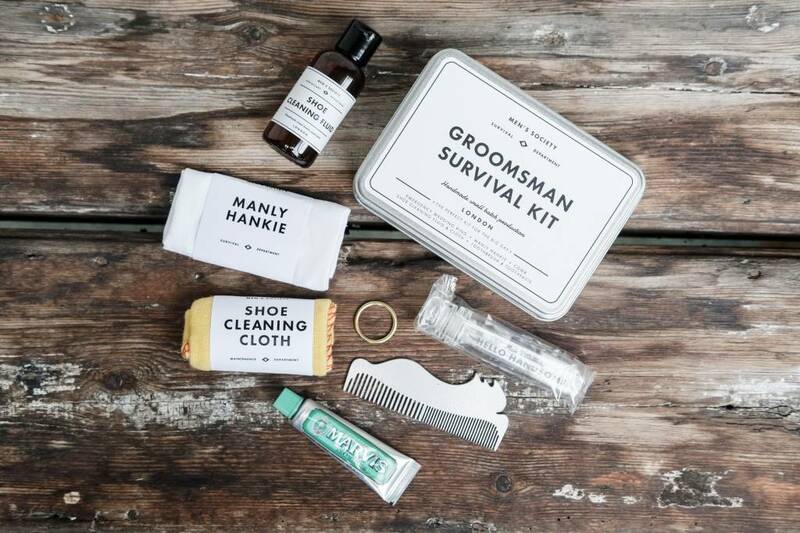 From forgotten rings to dirty shoes, this gift set has him (and the groom) totally covered! 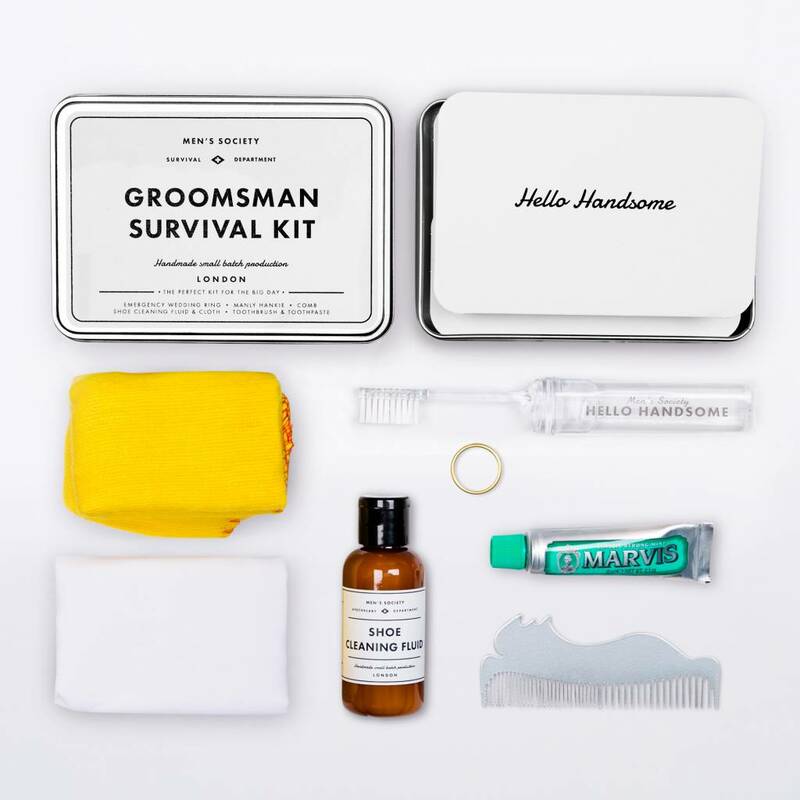 As well as a great smile-raiser on the big day, this personalised gift set serves as a lovely momento. The tin is often re-used as a memory box for years to come. Big boys do cry when they're getting married. Wipe away those tears. To keep his shoes in perfect condition.